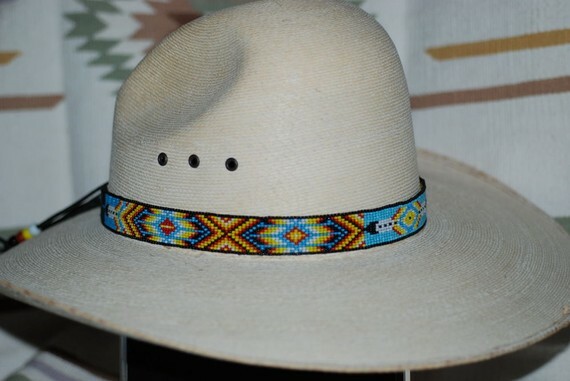 BEYOND BUCKSKIN: Etsy Gift Guide: Hat Bands for the Men in Your Life! 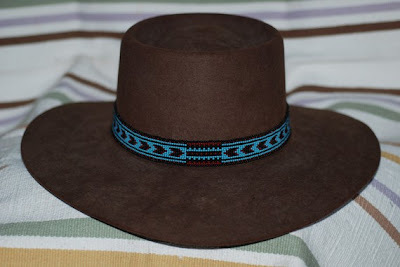 Etsy Gift Guide: Hat Bands for the Men in Your Life! For any guy - from your musician buddy, to your rodeo cousin, to your saddle-up-to-the-bar boss, to your tribal councilman uncle - these are cool. 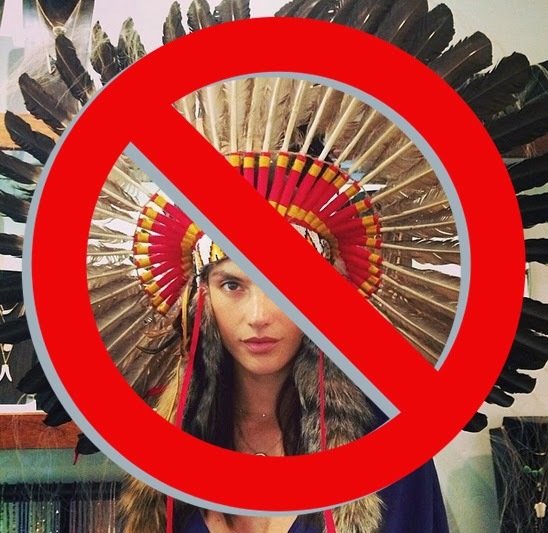 These hat bands are made by CloudBurst, whose father is Chiricahua Apache and mother is Mescalero Apache. 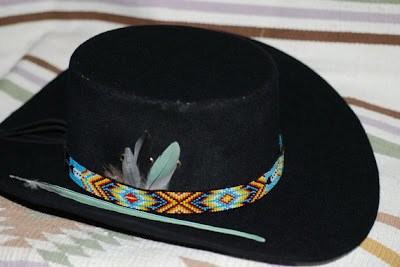 This hat band is made with leather, seed beads and crow beads (hat not included!). It features arrow and zigzag designs created with turquoise, red and black beads. 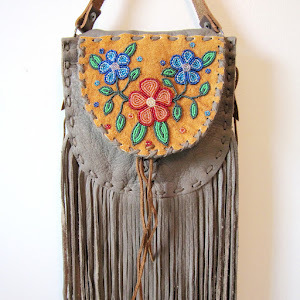 The beaded area is about 21" in length, and almost 1" wide. 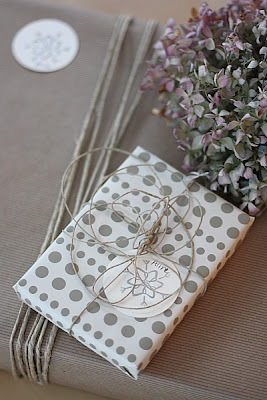 The ends are tied off with leather ties and crow beads. Looks sharp on a black, brown, or cream cowboy hat! $119. This colorful hat band is made with leather, seed beads and crow beads. The beaded area is about 20" in length, and is about 1" wide. Featuring a bold geometric pattern in turquoise, white, yellow, red and black, this band is a nice addition to a black, brown or cream colored cowboy hat. Giddy up! $119. And remember to wrap it up in some fancy, manly, paper.